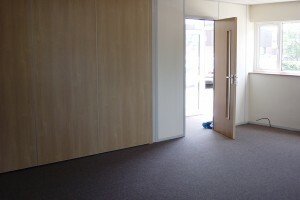 Over the years we have installed folding walls and sliding walls from basic concertina doors in emergency treatment areas or general purpose rooms / offices that occasionally need sub-dividing to large training and seminar / teaching facilities that need good quality sound absorption / sound reduction and aesthetically pleasing sliding walls or folding walls. 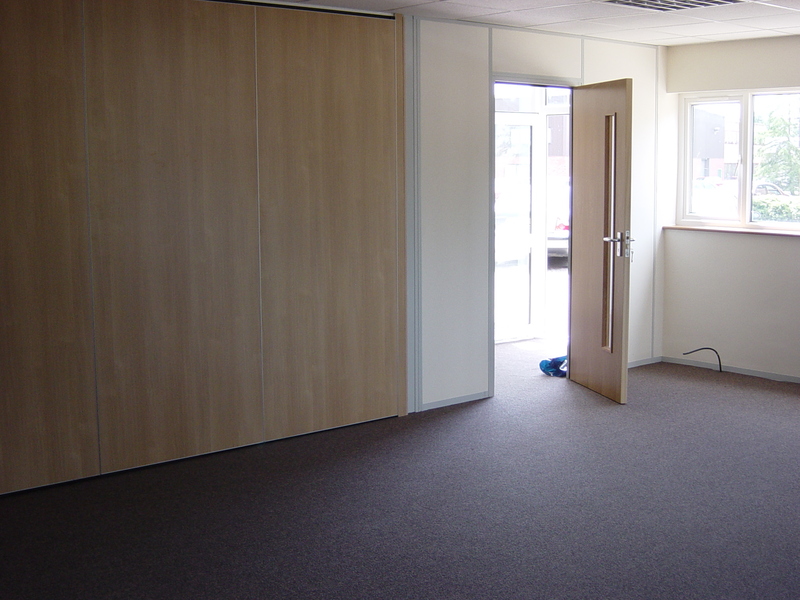 If you need to be able to sub-divide rooms in your premises for any reason why not give us a call to see what we can offer you. 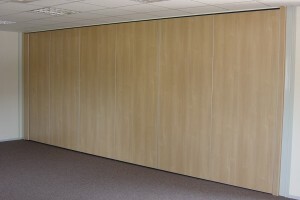 ACOUSTIC OPERABLE WALLS are our top of the range custom built sliding and folding movable walls. Several imaginative layouts and panel stacking configurations are possible, although straight folding panel runs are still the most common installed operable walls. 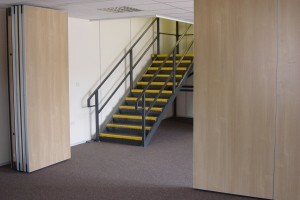 This flexible approach can create many useful sub-divided areas within your large working spaces and our aim is to work closely with designers, architects and end users to achieve the best solution for both practicality and cost. As the name implies acoustic operable walls are designed for maximum sound reduction and the sound ratings available range from Rw 37db to 53dB, the later of which is actually better than most fixed solid partition walls. All sound reduction ratings are backed by Independent Acoustic Consultants. The system comprises of bespoke individual panels suspended from a top track and no floor track is required. 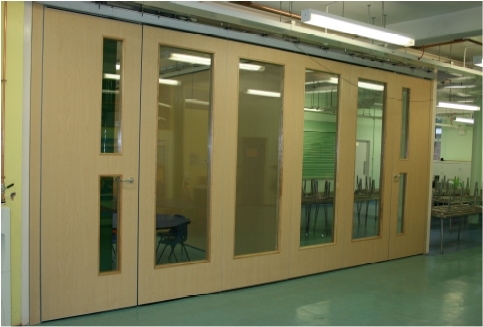 There is an acoustic seal fitted to each panel which when the folding panels are closed the interlocking long edge profile seals form the temporary bond required. The retractable top and bottom seals then lock between the head track and the floor and are operated by a handle which is inserted into the vertical edge of each panel to keep the sound out. Our preferred method is where the handle is only moved through 90°; this will achieve the desired acoustic seal and is a quick and easy method for the end user, we can however, offer a 'continuous' winding mechanism on request. Various designs of interlocking profiles are offered to compliment the main face finish and the colour schemes of the surrounding walls. 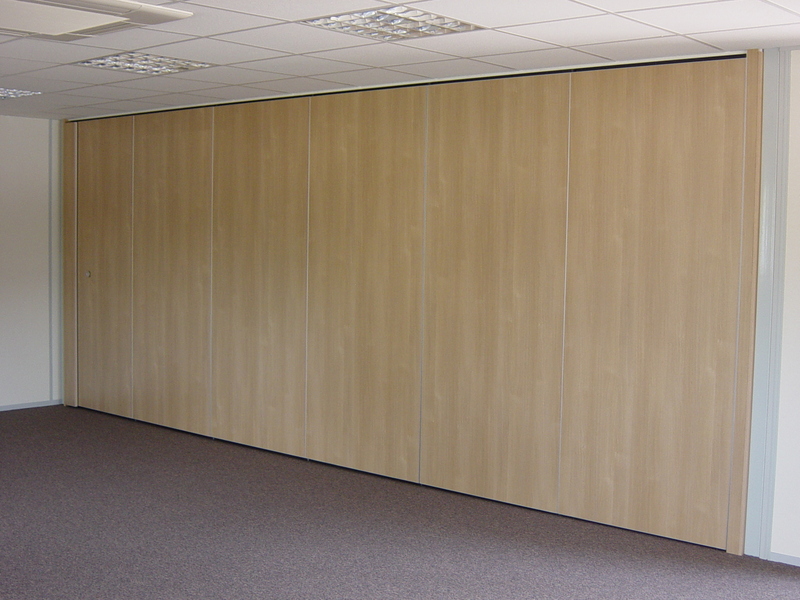 The majority of the folding / sliding walls we produce are finished in either real wood veneers, vinyl, laminate, melamine or spray painted. Most face finishes are possible, our technical team would be keen to discuss any special requirements you may have. Class I or Class O surface spread of flame can also be provided. 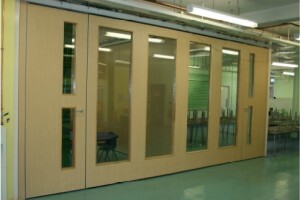 Integral pass doors can be included in any operable wall system to enable quick access between rooms without the need to open full panels, and these can be designed to meet current DDA Disabled Regulations if so desired. The last panel of most walls has a telescopic nose to make a final seal, which is face operated. 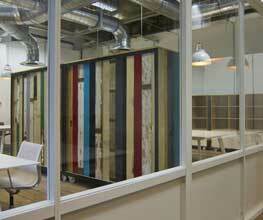 MULTIFOLD SLIDING SYSTEMS are a quality range of custom built hinged panel walls. Most systems are fully floor supported through a bottom roller track system, however optional top hung systems are also available. 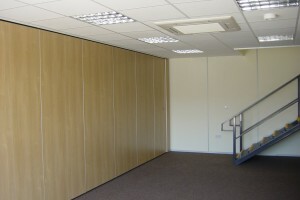 The multifold sliding wall systems can either be parked to one side (End fold) or bi-part (Centre fold) to be stacked both sides of the opening. Communicating doors are incorporated in most panel configurations on request. 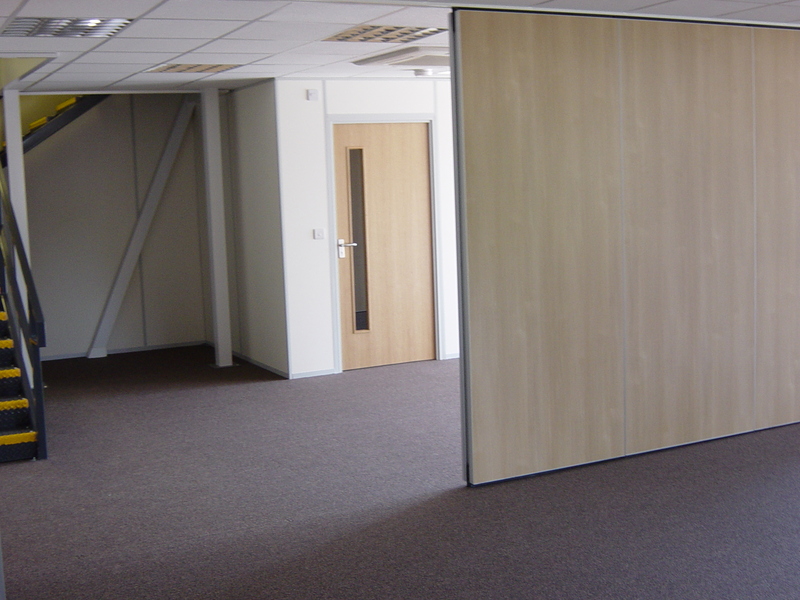 The folding panels are quickly and easily pulled across the room opening and locked into position. 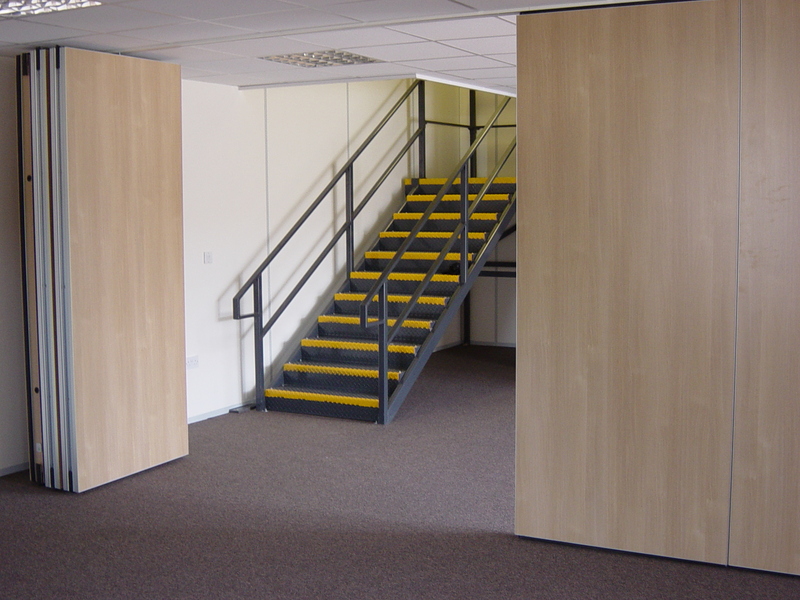 The majority of the multifold walls we produce are finished in either real wood veneers, vinyl, laminate, melamine or are spray painted although most finishes are possible and our technical team would be keen to discuss any special requirements you may have. Class I or Class O surface spread of flame can also be provided. Sound reductions from Rw35 to 44dB are available. The aluminium long edge profiles to each panel have rubber seals which ensure an airtight seal when the panels are closed. 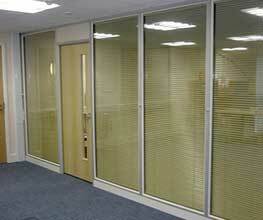 The top and bottom of each panel has rubber sweep seals which provide the reasonable level of sound reduction. 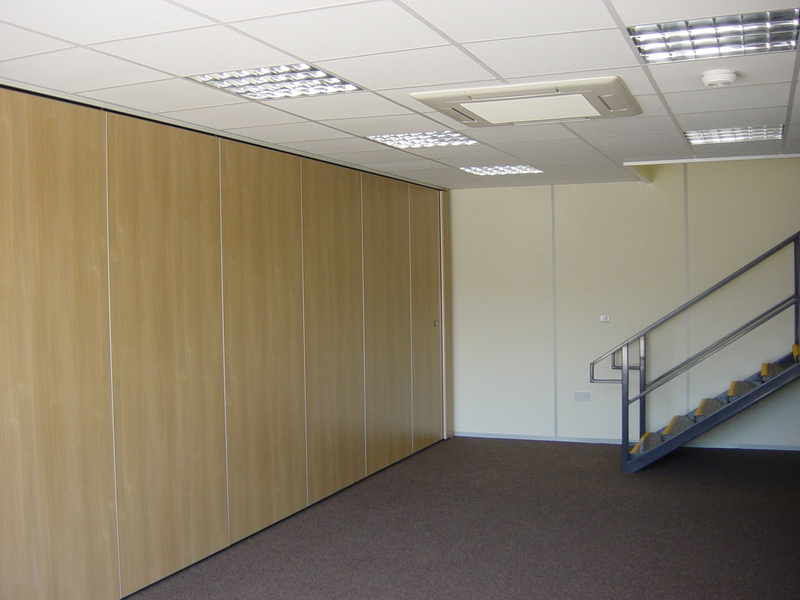 CONCERTINA SYSTEMS are often selected where budget is a primary factor and are perfect for providing a less expensive means of dividing rooms. The system is of a high quality construction which has not been compromised due to it's cost. The faces are a heavy duty vinyl available in a vast range of colour options. Flame retardant finishes are also offered as an option. Usually supplied as top hung only into a fully prepared opening. The systems can either fold to one side or bi part to both sides. 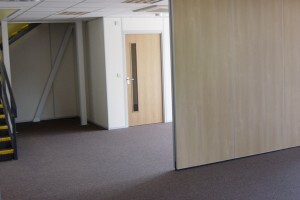 3 levels of Acoustic performance are offered, Rwl5, 23 or 30dB. The systems are quickly and easily operated and are particularly suitable for use in schools, nurseries, hospitals and village halls.